Five Hand-rolled, Premium Cigars each month from the world's top producers. 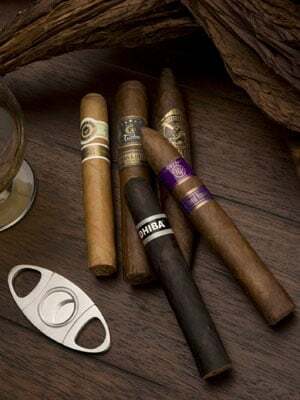 You'll get a portfolio of five different cigars of varying shapes, sizes, and tobacco blends, hand-crafted by limited-production, boutique manufacturers, as well as from highly rated, super-premium brands. Our original and most popular cigar club for over 20 years, The Original Premium Cigar Club delivers exceptional quality at outstanding values. In each shipment, members receive five different hand-rolled, premium cigars with retail values between $6-$12 per cigar. Our cigars are selected from boutique manufacturers like Alec Bradley and Carlos Toraño, as well as highly-rated super-premium brands like Graycliff, Macanudo and Cohiba. Members always get a variety of lengths, gauges, wrapper types, and tobacco blends.